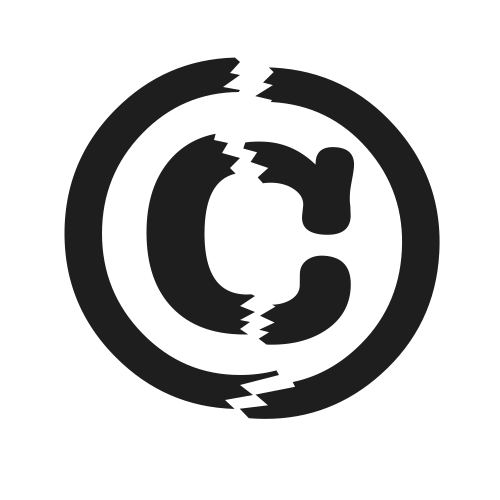 Three days ago, March 4, 2019, the Supreme Court of the United States ruled that creators must wait until they have a registered copyright before they can sue for copyright theft. In short, this means that your work is not copyrighted the moment you create it. 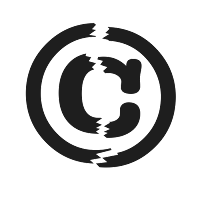 Nor will it be considered copyrighted if you have applied for a copyright registration. Instead, it will not be copyrighted until you have actually received the notice of registration of your copyright. This means that even if you slap that little "©" symbol on your work with a date, it doesn’t count. Things you (& I) have written in a blog? Can now be used by any publication without consent or compensation. Unless you have the money to register each and every little thing you write in your blog. My advice to authors: register any work you intend on selling before you release it into the wild. Second, it would be best not to write massive, content-filling missives in your blogs, unless you want it to appear in someone else’s online magazine where they are making money that you won’t be from your work. I do wonder how this is going to effect news media. The way I see it, unless the Supreme Court allows for blanket registration of a website, then any article that is put online can be poached for free. Because by the interpretation I see, unless that article is specifically registered, then the author/publisher of said piece cannot sue for infringement unless that article was already registered. Words are forever immortal, but the writers are not. I always wanted to meet Le Guin. Just to shake her hand and thank her for the stories she wrote that I always enjoyed. Over the next few days, there will be far more eloquent testimonials written by friends and colleagues who knew her and are far better poised to talk about her influence on writing in the 20th century. I can, however, talk about how she influenced my own writing. Her influence shows where I try to create my characters. I put a lot more thought into them than I think I did when I first thought about becoming a writer. Dragons are important in my stories. Le Guin’s dragons in Earthsea were not animalistic beasts, they were unreachable beings of thought. Only those who were special could approach a dragon. This concept plays heavily in Aggadeh Chronicles, where dragons will only interact with Nem Aster or those who are close to him. Another aspect in her character creation was the universal racial ambiguity of her characters. To assume her characters are cis white males would be wrong. I’ve tried to avoid describing characters in my own stories so readers can ascribe their own perceptions to them; to make the characters appear as who the the readers think they are. Her Lathe of Heaven has me always thinking about how my non-human characters should be. How they interact with humans, how they feel about interacting with humans. Or, for that matter, how humans will interact with them. I have friends who come from all around the world. I have never lived outside of New England. So I am constantly listening to my friends from other parts of the world on how they’ve dealt with and adapted to American culture. The linguistic and social issues they’ve had to deal with. Le Guin grew up with people from many cultures visiting her parents, so she was constantly exposed to different ways of looking at the same things. Her stories always echoed this multicultural view; she never had a binary, black and white plot in her tales. There were never really any villains, the heroes were not always right. The grey area between the two had to be worked out to resolve the tension of the story. There's a lesson in that for everyone. 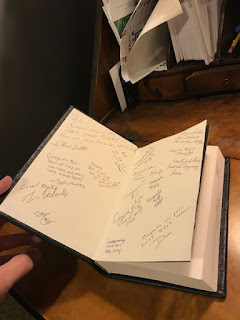 Author J.D. Byrne has set up a series of interviews with various writers and posted them to his website. If you’re curious about who I am and the writing process, this is a nice place to start. If you have any questions you’d like answered, post them in the comments below! I’m trying to chase down a possible problem with the Kindle version of Aggadeh Chronicles Book 2: Dragon. I’ve had three complaints where the reader got to a certain point in the book and it just cut out. I was unable to reproduce the problem using two Kindle models and an iPhone—all I had to report was it takes 20 minutes to flip through the pages from beginning to end. I do know in two of the reported cases it was happening on an Android-based phone using the Kindle app. I should note that in both cases, it was happening to my ebook and not to others. So, something may be getting introduced into the file when my book is converted to a MOBI file for the Kindle that causes problems to that app. That it has happened three times suggests there is a problem. So I’m calling out to the reading community and asking anyone if they have also had this problem. If you did, please contact me. The more reports I can gather, the more likely I’ll find a clue as to what is happening. The sooner I can fix it, the happier everyone will be. Since the launch on July 1st, I have sold over 2,400 copies of both Nobody and Dragon. I figured I would be lucky if I sold 2,300 by the end of the year. So to exceed that goal in just over two months came as a pretty pleasant surprise for me. Where did the number 2,300 come from? That was how many copies I had to sell before I could afford to buy a new computer. Three years of borrowing time on a computer took its toll, delaying the release of Dragon by well over two years. So when do I get the new computer? I have it right now and I’m writing this report with it. I borrowed money from my father to buy it knowing I’d be able to pay it back in November when I get paid. HUGE relief to be writing on my own time in my own way. The brakes on the car have been finally replaced, and the brakes and tires on the motorcycle will be replaced when the next paycheck comes in. When the royalty check for July comes in (60-day delay from the end of the month) I’ll be able to finally get the artwork for the new cover for Nobody. Then Nobody can be released into print. 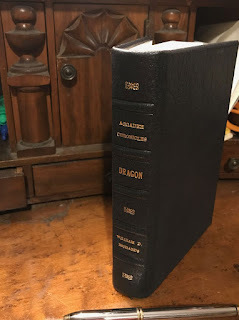 While I’ve had Dragon put into print via Amazon’s Createspace Print-On-Demand (POD) service, I want to expand where I am selling it into other markets. That requires I actually go to a book manufacturer (not “printer”, there’s a difference!) and have a small print run done there. That’s a considerably larger investment and will take a little longer to accomplish. The key here is many independent bookstores don’t sell books printed by Amazon’s POD service. Come December, I should have hopefully have enough money earned from book sales to cover the cost of a short printing run. That would mean hardcover books for Christmas sales and copies I can sign at book signings. Additionally, that sets up the financing I will need for the same when the third book in the Aggadeh Chronicles series, Oracle, is launched next year. Covers, printing, editing…all these things cost money. Another key goal I have to pass is to sell at least 10,000 copies. That number represents two things: first, it is the minimum number of copies I need to sell in order to have a livable income for a year without the need of a part time job. Second, the industry long used 10K copies as a measure that a book was a hit. Today, because there are a lot more authors thanks to self-publishing, that number has been adjusted down to 5,000. So 10K is a pretty tough number for any single book to hit. The prime goal I need to pass is 19,000 copies. Not only does this finally eradicate debt, it leaves me with a budget I can live off for about 18 months before I run out of money again. The income of an author is very much boom and bust. We release a book and for a few months the money comes flowing in. But after that point, the sales start to drop off and there will be no more income until the next book is released. So whatever money that book has earned has to be spread out over 18–24 months until the next book hits the shelves. Fortunately, each new book released tends to cause sales of earlier books to surge anew. So each new release results in better income during each boom cycle. The real test for me on this matter will be the release of Oracle next summer. 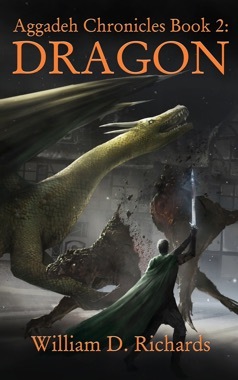 If Dragon was able to give such as strong boost to sales of Nobody, I am hoping that the third book in the series will have significantly more clout when it is released. On that thought, it is time for me to get back to work. No matter how hard the job or onerous the task, it is the people you work with that make the difference. Retail is a pretty tough business to work in. It may not be the hardest or worst of jobs, but it is long hours of constant energy trying to help customers find the solutions they are looking for. 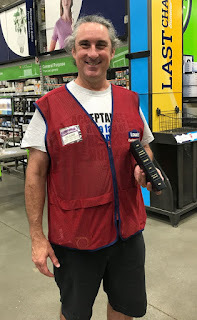 The team I work with at Lowe’s in North Attleboro are what make the difference through the long hours. We make each other laugh, we listen to each other vent our frustrations, and then we make each other laugh more as we work together through the day. I count my teammates at Lowe’s among my friends. When our Friday night meeting was called—we review the sales of the week and what is planned for the weekend—I had absolutely no idea anything was up. 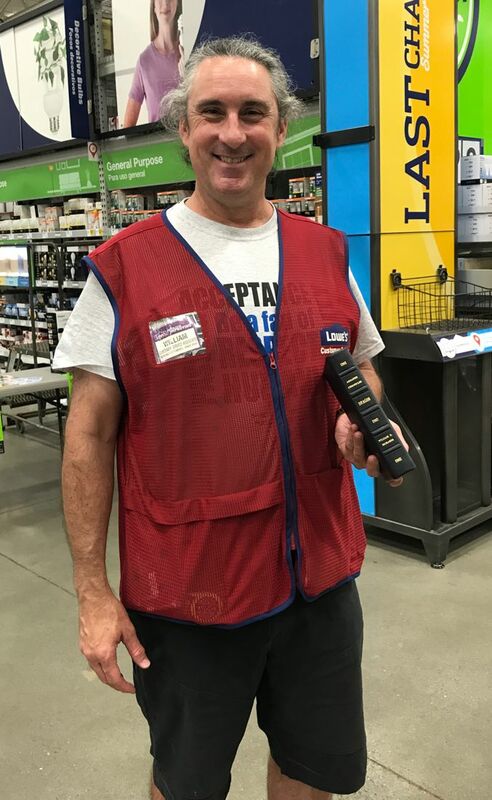 Our assistant store manager Mike B. made a comment about how closely working a as a team builds strong friendships, and they wanted to show their appreciation for the efforts of one of their team members. He then turned to Chuck V. and told him to "Bring it up." Chuck walked up and held out a bag with something in it. I stood there smiling blankly wondering who they were talking about, when I realized Chuck was holding the bag out to me. The moment I touched it, I knew what it was! Chuck does bookbinding and restoration professionally. It’s one thing to know what your friends do, it is entirely another to have such a personalized surprise. 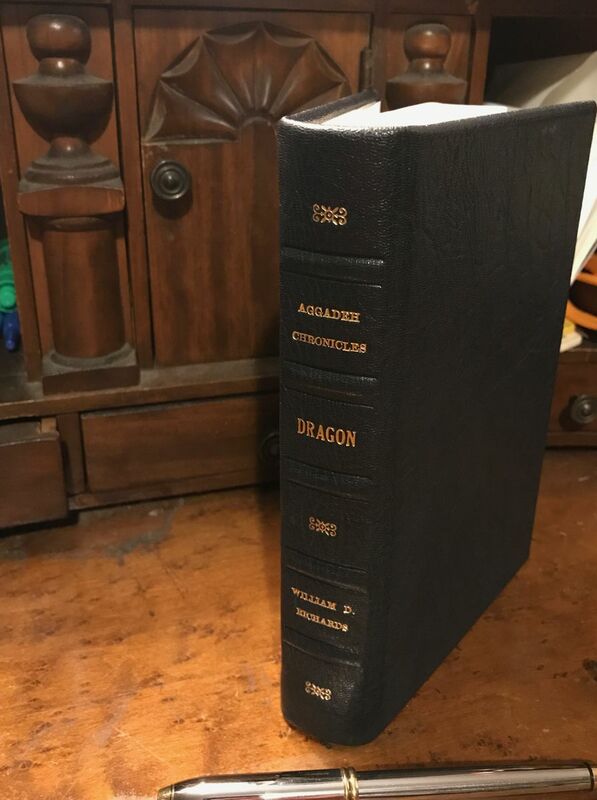 Chuck took a print copy of Dragon and bound it in leather. The big surprise was the book was autographed by the friends I work with at Lowe’s. There’s just a small amount of editing to go on Dragon. For the most part, I’m pretty much done except for some rewriting in some sections. With that, it’ll be off for the second round of edits and proof reading. If nothing major is caught, then Dragon will be ready to go! If something is found, I have adequate time to fix it to ensure my deadline of July 1st stands. The past two-and-a-half years have been pretty rough. One of the downsides of being poor is when things break, you can’t afford to fix them. Worse, you cannot afford NOT to fix them. In this situation, something has to give. Even the most stringently kept budget will break under these circumstances. With launch day on July 1st, I won’t see one penny until October 3rd or 4th at the earliest. Even if I have extraordinary sales through the month of July, I’m still penniless until autumn. The reason for this is because of the way independent authors are paid. Retail outlets pay of the author’s share of the sales proceeds 60 days after the close of the month that sales occurred. The reason for this is to give their accounting time to work out all the sales and to account for any chargebacks (returns). For any sales that occur in July, the day that they close the books for the month is July 31. That means no payout until September 30. As that is on a Saturday, I don’t expect them to initiate the payout until the next business day which is Monday, September 2nd. Give a few days for processing, and I probably won’t see any income until October 5th. That’s a long time to go without a payday. I managed to pick up a part time job. That certainly helps, but it gets in the way of writing. Grants are gone. The trump administration has cut the National Endowment for the Arts in the 2018 budget. So, there is no hope for getting assistance that way. trump seems to feel that there is no return on investment in art. I wonder what J.K. Rowling would think about that? On the £8000 grant she received from the Scottish Arts Council, the Harry Potter series has grossed more than $25 billion—significantly more than trump ever made in his lifetime. And Rowling has paid significantly more taxes than trump ever did. And the franchise has generated thousands of permanent jobs—unlike trump who bankrupt many small businesses and put thousands of people out of work. Friends and family? No. People are stretched too thin today. And I’ll be the first to admit, writing is a dubious investment. It takes years before one sees any real return. I can’t ask for handouts because I really don’t know when I’ll be able to pay back a loan. But many hands make light work. This is why I just set up a Patreon account. What finally got me to this point was the brakes on my car failing—a moment of excitement I could very well have done without. It was a very unpleasant feeling when I stepped on the brake, there was a loud thump, and my car kept going merrily along without the pause I was hoping for. Fortunately, luck was with me in that moment. I had just passed through the busiest intersection in my area not more than a minute before. Had the brakes failed just one brake-usage earlier, this would have been a much more unpleasant story. Second, I was turning into a parking lot when it happened; much less traffic to contend with. Third, my instincts kicked in immediately and I downshifted the engine to use engine-braking to stop the car. Aside from a bit of lurching and the look on my face, I don’t think anyone noticed that something had gone wrong with my car. Well, they might have noticed the chunk of metal that used to be the brake falling off my car. The ride home was happily boring, though a bit technically challenging. It took me nearly three months to save up the money I needed for the parts to repair the car. There are still further issues that need to be addressed, but I just can’t afford right now. The event finally convinced me that I needed some help. Patronage for writers is not a new concept. It merely fell out of vogue during the 19th and 20th centuries as writers began to generate more income due to modern publishing technologies. 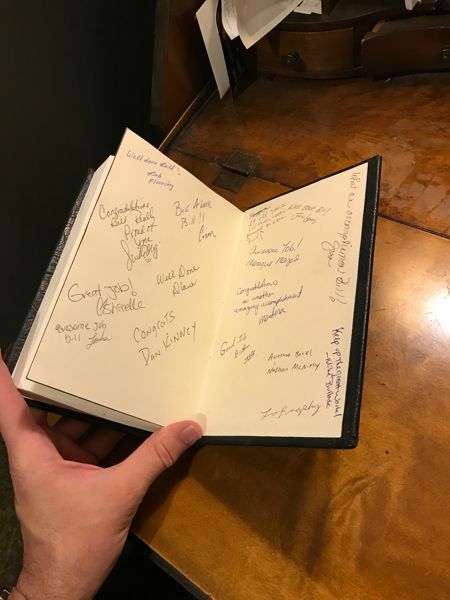 Growing further from this, today’s publishing technology has opened a new paradigm that allows authors such as yours truly to publish themselves. The problem is, a self-publishing author does not have a publisher to support them with advances until sales pick up. I picked up the part time job to help make ends meet. It takes up about 60% of my productive time, which slows down my writing process immensely. Additionally, at minimum wage it falls short of actually making ends meet. So, Patreon it is. I figure it is going to be a while before I really start to pick up any support. But if I don’t do anything, then nothing will happen. It is just past noon and Donald Trump has been sworn in as the 45th President of the United States. A president who rode his way into office on a platform of bigotry, ignorance, and falsehood—one who holds the truth in such contempt that he would contradict himself numerous times in the same day, over and over again throughout his campaign. Read the above article. If you don’t, then nothing I say below will make any sense whatsoever. In fact, because this is what I think is wrong with American politics, I’m just going to post the source of my ire and then you can read the article for further analysis of what is going on.